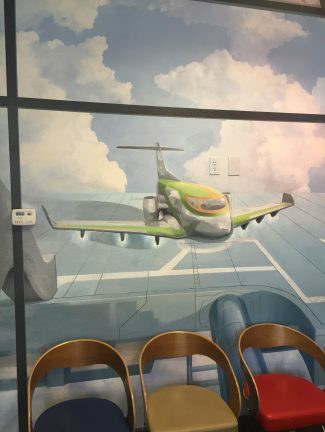 At Jet Set Smiles, we use a variety of relaxation tools and techniques to help your child have a comfortable and fun experience. The Jet Set Smiles team understands that entrusting us with your child’s dental needs is a great responsibility. 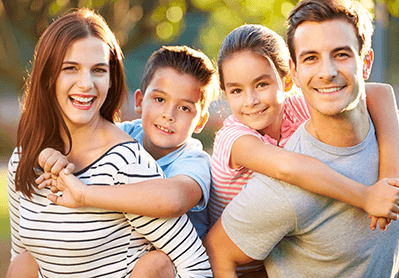 As your child’s pediatric dentist in north Phoenix, our number one priority is helping your child achieve the best dental health and the happiest smile. New patients eligible to receive free movie tickets following your first appointment! Please mention this promotion when scheduling your child’s appointment. Dr. Patel and the Jet Set Smiles team create a fun, safe, and friendly dentist experience for young smiles, and put mom and dad at ease! We have compiled a list of various dental emergencies your child may experience and what you should to help. Follow the link below to learn more. 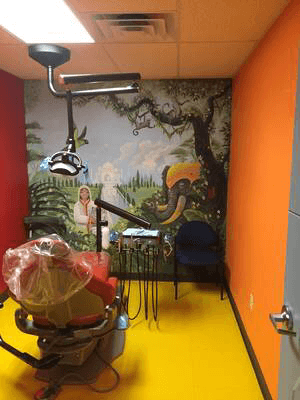 Jet Set Smiles Pediatric Dentistry in north Phoenix is pleased to offer comprehensive dental services to meet the needs of children at every age: infants, toddlers, children, tweens and teens. We believe in working as a team with parents and children to achieve our goal: your child’s brightest, healthiest smile! 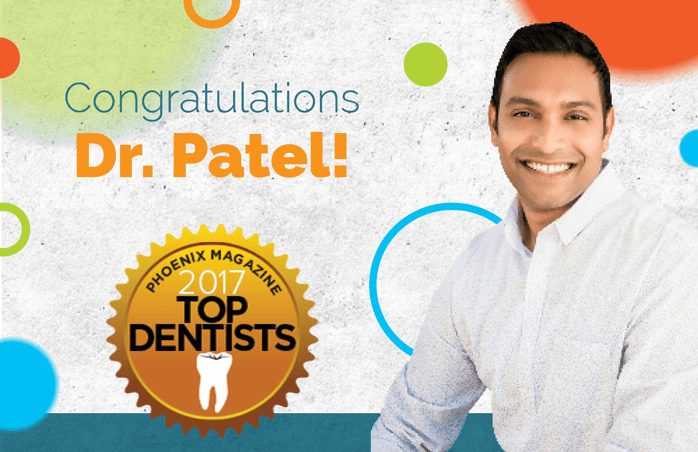 The North Phoenix Pediatric Dentist Where Kids Are #1! 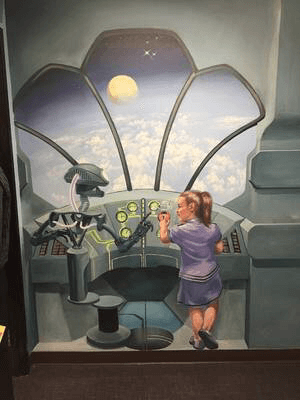 Jet Set Smiles is passionate about kids! Providing the highest quality preventive, restorative, cosmetic and emergency dental care in a gentle, efficient and professional manner is our goal. We love babies and toddlers and want to make their visits fun so they look forward to coming. Bring your baby in when they get their first tooth. What a great age of developing independence! We have lots of learning tools and fun activities to help young children learn about caring for their teeth. Almost a teenager, tweens don’t want to be treated like little kids. We talk about good nutrition and other healthy habits … and some of the dangers to oral health. While teens transition to adults, their mouths may need some special help. Appearance, braces, bad breath and wisdom teeth are common teen issues. We love our patients, and they love us too! I can not say enough good things about this office. It is clean and fun. The staff was professional and great with my 4 and 6 year olds. We were early and they saw us before our appointment time. We will be back! We had a wonderful experience bringing our 3 year old son to his very first dentist appointment. The visit was wonderful; Dr. Patel and his staff were amazing! They made sure to walk our son through everything that was going to happen to help him understand not to be scared. Dr. Patel was great with our son, and made us all feel comfortable. I look forward to having a great pediatric dentist for the long term future. My kids actually like the dentist. From the time you enter the office to the time you leave the staff make going to the dentist a breeze. My kids do everything from watching the fish to playing video games to watching a movie while they wait. The office is painted to stir their imaginations. It is a very comfortable environment for me as a parent too. The whole experience is quick and efficient. Our last visit was in and out in 30 minutes. My kids left with a fresh smile and a clean toothbrush! The sweetest, most honest dentist I have ever seen. 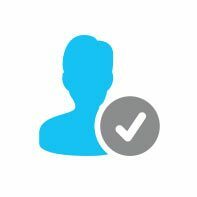 Cares for his patients and is willing to help with payment options when there is a financial burden. The staff is so kind. I feel so blessed to have found such a great dentist for my son. Dr. Patel truly has a heart and isn’t out for people’s money like you see most places.